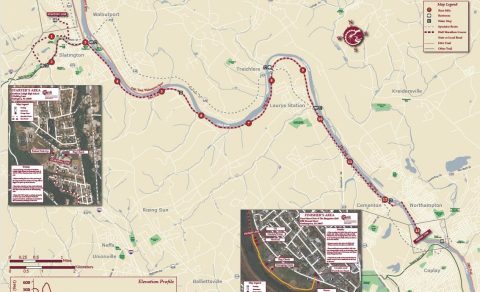 The Delaware & Lehigh National Heritage Corridor extends a sincere thank you to the volunteers, runners and walkers who participated in the 2018 D&L Half Marathon. Together we raised more than $25,000 to support D&L’s important programs and preserve the beauty and history of this trail for generations to come. Join us on the beautiful, lush D&L Trail for a gently downward sloping course that is fast as well as easy on the joints. Both runners and walkers are welcome to help support the D&L Trail’s history and future. Enjoy a race loaded with amenities including many runner and walker awards, random prizes, a delicious post-race buffet, enthusiastic volunteers, indoor facilities at the start and finish, gender-specific technical T-shirts, and so much more. Register early; the race is capped at 1,000! 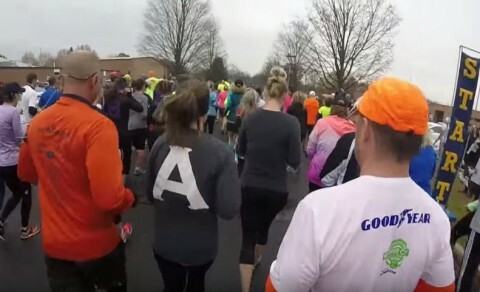 The D&L Half Marathon from a runner’s perspective.